Born in the USA and educated in the UK, Rabbi Lerer went on to learn at Yeshivat Hakotel in Jerusalem and then gained Semicha from Jews College, London. He also has a degree in Psychology and a Masters in Jewish Education. Prior to taking up his position in Central, Rabbi Lerer was the Rabbi of Barnet Synagogue where he held the position for over 12 years. Prior to this, he was Rabbi of Watford and District Synagogue for 4 1/2 years. 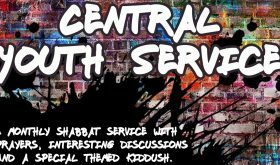 During his time in the Rabbinate, Rabbi Lerer has become known as a compassionate, non-judgmental, innovative, and welcoming Rabbi. 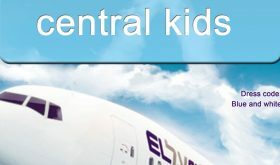 Both communities flourished during his tenure, with Rabbi Lerer introducing many original ideas and programmes resulting in increased numbers of active participants and volunteers. 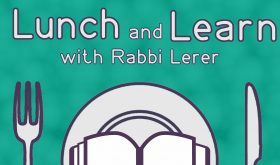 Whether giving a Sermon on Shabbat, an in depth Gemara Shiur or a Hebrew Reading Crash Course, Rabbi Lerer is renowned for educating in a thought provoking, entertaining and relatable way. These qualities have also established him as a popular and successful teacher in the 6th form programme in Hasmonean High School where he has taught since 2001. Rabbi Lerer sits on the Rabbinical Council of the United Synagogue. 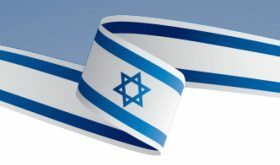 He is also one of a small group of Rabbis selected to work with the Office of the Chief Rabbi in meeting with couples planning on marrying under the auspices of the Chief Rabbi. 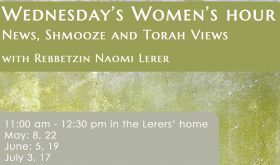 Rabbi Lerer and Naomi have four sons, Zevi, Amichai, Yishai, Gadi and one daughter, Yakira.